Bourbon Street is a unique beast. 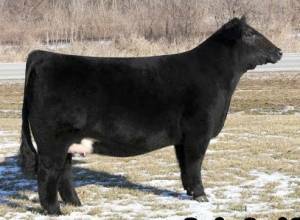 He offers the same calving ease, stylish and high quality package as his extremely popular sire, No Worries, with added pin width, muscle and a cooler front end! Bourbon Street is backed by a pedigree of dominant donor females! 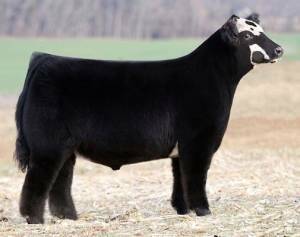 His $50,000 mother produced Bourbon Street as her first calf and has done excellent in embryo transfer in her first year of production. 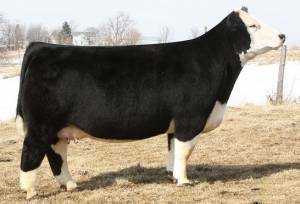 His maternal grand dam is the famous National Champion, Katie, who has produced over $1,000,000 in progeny sales with multiple A.I. sires and champions. 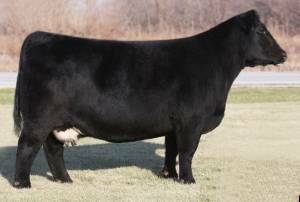 Bourbon Street's paternal grand dam is the famous Sarah donor whose claim to fame is not only being a National Champion herself, but the dam of No Worries and multiple state fair champion steers and heifers!